This is our premium line of inside the waistband holster. 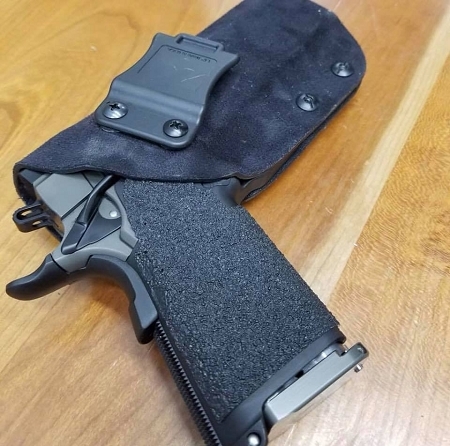 The design stemmed from days of wearing our standard IWB holster and thinking what would take this to the next level in comfort, conceal-ability and use. We feel that this design is our best IWB holster yet. First this only comes with a fabric outer lining. 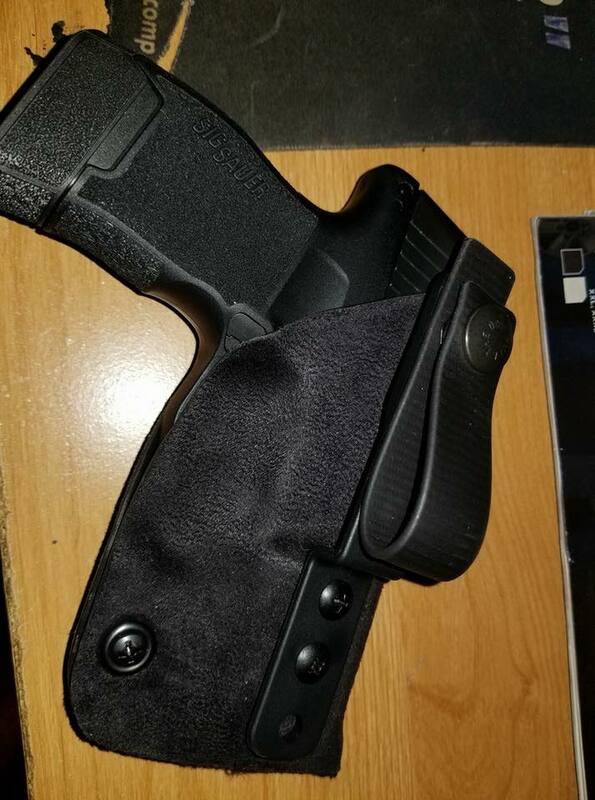 The fabric helps the holster stay put. The fabric grabs against your garments and stops it from pivoting or shifting on you. The attachment is by way of a tuck strut made from injection molded plastic, and a loop. The strut can be moved up or down to shift ride height along with the loop can be moved up or down additionally. This allows you to pick a ride height that fits you. The loop can be adjusted to fit belts from 2" down to 1.5" by way of moving the screw and lock. They leave here set on the biggest setting unless you ask otherwise. Additional attachment options such as a 1.5" or 1.75" clip exist, as well as options for double loops. The choice is up to you. 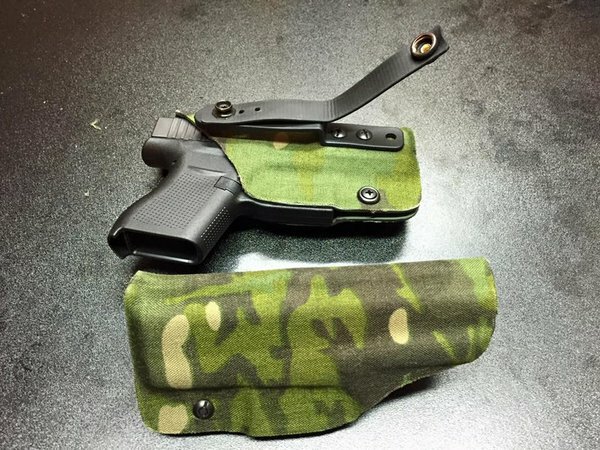 The retention is fully adjustable on this holster as well. There is a screw that allows you to set the retention in a manner that you feel comfortable. We cut the trigger guard area similar to our competition holsters. The bottom edge of the trigger guard is fully exposed to allow for a good draw at any speed.